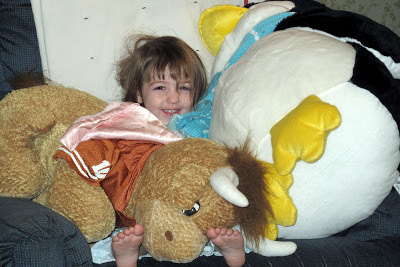 Cate rocked herself + her stuffed friends this morning. Who in the world got her that HUGE penguin?! Crazy people!